Arbitration offers many benefits over litigation in resolving commercial and intellectual property disputes. The parties have an active role in picking the decision maker. In fact, they are generally given a listing of well-qualified arbitrators who are often experts in their legal field from whom to choose. The whole system is set up to go faster with less formality and more emphasis on substance. Continual procedural gambits and expense are easier to overcome, and the parties can count on a “date certain” for their hearing. By contrast, a trial in court must be at the convenience of an often overburdened court awash in criminal and other matters. In court you often are subject to call on a few days’ notice for a long period of time while the criminal matters go to the head of the line. So why isn’t every lawyer a fan of arbitration? And I can tell you that there are many lawyers who are not fans of arbitration. I’ve talked to them. One reason we can’t do much about. It is only natural to believe in the merits of your claim or defense. When you lose, there is a tendency to blame arbitration. The cure is to shun arbitration in the future if possible. You normally can’t do that with court. The other reason is cost. The parties and their in-house counsel get the bill for the arbitration and conclude it is just as expensive as litigation. The reaction is, “I thought this was supposed to be cheaper than court. But here I have to pay arbitration fees and costs, and I also have to pay these large legal bills. This isn’t cheaper at all!” That may or may not really be true. It could well be that court would have been more expensive. But the perception is still there. In fact, while arbitration was once favored by corporate counsel, a study done in 2011 shows a significant decrease in use of arbitration in commercial matters since 1997 with cost being the main concern. R. Lamare, The Evolution of ADR Systems at Large U.S. Corporations, Dispute Resolution Magazine, Vo. 20, No. 3 (2014)(online: http://ow.ly/NsI93). Of course, the main thing that makes arbitration expensive, just as in litigation, is discovery, especially electronic discovery. This should come as no real surprise. Advocates want to be sure they have all the facts they can find to present their positions and maximize their chances of winning. But this comes with what can be a huge price tag these days where the facts are to be found in computers, on servers, and even in smart phones, if you look hard enough. But in many disputes the cost of getting all those facts can overwhelm the amount at stake. This all suggests that, if arbitration is going to somehow provide an advantage over traditional litigation, containing discovery is a good place to start. But how do you make sure the parties have the facts they need without breaking the bank? Actually, there are plenty of tools available. So let’s think about how to use them. We’ll begin by focusing on normal document discovery. Many lawyers in arbitration are focused on the traditional litigation-based rationale for discovery: parties may obtain discovery of any non-privileged matter relevant to a party’s claim or defense. Fed. R. Civ. P. 26(b)(1). This is true no matter whether or not the evidence is itself admissible so long as it is calculated to lead to discovery of admissible evidence, whatever that means. Id. Usually one side’s “calculation” looks to the other side like a “fishing expedition.” The latest rule amendments replace “calculated to lead to discovery of admissible evidence” with “proportional to the needs of the case,” which is a welcome change. But lawyers still know they are subject to later criticism unless they leave no stone unturned in search of that one critical clue that could turn the case around. That is true whether such a clue exists or not. Besides, it is the opponent who actually has to turn over the stones in their trove of documents. So why not insist that they do it? Because arbitration is by its nature more flexible than litigation, the cost of discovery can be managed on a basis that makes the most sense for an individual case. This is something we must take advantage of to try to manage the cost of discovery in arbitration. 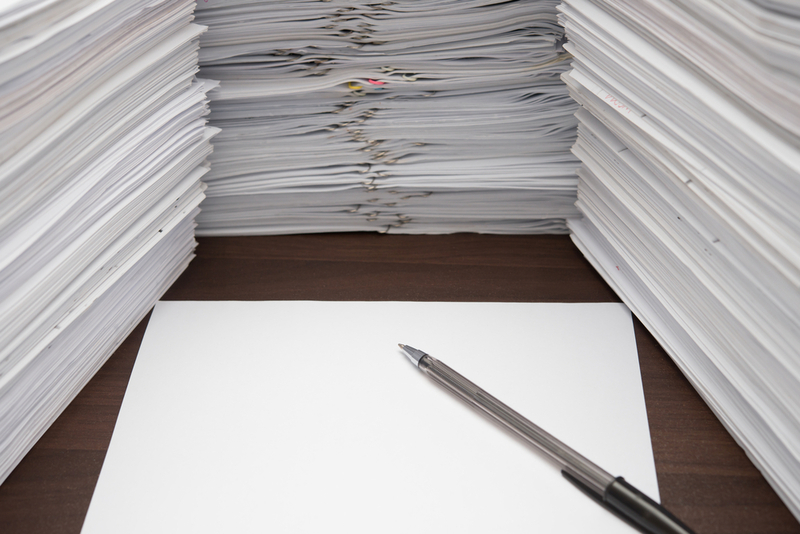 And the arbitrator can usually save counsel from themselves regarding overly broad discovery by making sure the search for documents is rational rather than needlessly exhaustive. A good way to begin to think about all this begins with the protocols issued by CPR on what it refers to as “modes” of discovery. (Available under “Resources” at cpradr.org). Different modes can be used, depending on the specifics of the case, including the amount involved and the likely location of information. The first mode just requires provision of the documents a party intends to offer at the hearing a few days before the hearing. That may be adequate in a fairly small-dollar dispute where the facts are straightforward. The second mode requires the disclosures as in the first mode, but adds a prehearing disclosure of those documents “essential to a matter of import to the proceeding for which a party has demonstrated a substantial need.” In other words, if a party thinks a certain category of documents needs to be provided by the other party, it needs to explain why. It will be given the documents if the explanation is persuasive. The third mode includes everything in the second, together with disclosure prior to the hearing of “documents relating to the issues in the case that are in the possession of persons who are noticed as witnesses by the party requested to provide disclosure.” In other words, witnesses need to provide the documents they have that are relevant to the issues on which they will testify. The fourth mode essentially tracks the scope of litigation discovery, requiring provision of “relevant documents regarding non-privileged matters that are relevant to any parties’ claim or defense, subject to limitations of reasonableness, duplication and undue burden. This would be reserved for matters where there is enough at issue to justify this deep a dive into the documents. These proposed modes are useful in suggesting the depth of discovery possible and, in many case, the parties will agree what makes sense for the matter. In other cases, they will not agree. That is where an experienced arbitrator comes in to weigh the likely burdens and expense against the likely value of the information. The advantage of thinking of things this way, however, is it provides a basic structure for determining how far document discovery should go to begin to fit the procedures to the dispute. Remember, these modes are just suggestions. A careful study of the particulars of the case may reveal that there is another hybrid mode that makes more sense in the unique situation presented. But these suggested modes are a good place to start and are quite a bit more helpful to crafting an efficient discovery process than general notions of relevancy, calculation, and burdens. Of course, while the general scope suggested by the suggested modes are a good way to start getting a handle on discovery, there is still the complication of electronic discovery, which we will take up in the next installment. This entry was posted in Commercial Arbitration and tagged arbitration, costs, discovery, documetns, efficiency, efficient, expense, fix discovery, mode, protocol on August 3, 2015 by David Allgeyer.